Yonat Dascalu - Polymer Clay Tutorials. Subscribe to my YouTube channel - Free Video Tutorials. This book will guide you through the very basic stages of working with Polymer Clay, up to the more advanced methods and techniques. Each technique is demonstrated with a step by step unique project. "I have to be honest, when this book arrived I was taken aback at just how little (6" x 8 1/4") it was! However, I sat down and found that the 126 pages are full of great and easy to follow cane making techniques with tons of pictures for each cane. There were also some really good project ideas to use with the new canes. This book is not for the already expert cane maker but ideal for everyone else! I absolutely love this book and highly recommend it. 5 stars from me!! Not the most advanced techniques I've ever seen, but very clear directions, great photos, and each lesson builds on the one before. This is a wonderful book for new clayers, and has great concepts for the more advanced also. This is a great instructional book. Everything is described in great detail so is very easy to follow and have success I highly recommend this book for beginners..
this is exactly what i was looking for--straight, simple easy to follow instructions with many photos. this is for the new clayer (like me) who has never worked any kind of clay. the photographs are phenomenal. I wish there were more stars to give this book. Ms. Yonat Dascalu, her book, and her YouTube videos are wonderful. The book is a must for a beginner and such good reference for everyone. 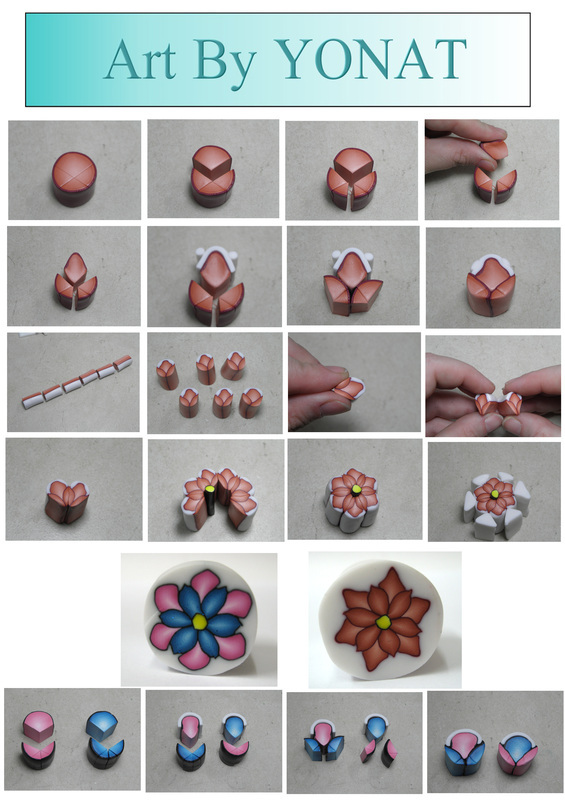 Excellent reference & great instructions for the intermediate polymer clay artist. Some great tutorials and instructions for the beginner too! Thank you! Great book. Yonat Dascalu gives wonderfully clear instructions with great photos to accompany them. I think that I have bought just about every book written on polymer clay, so any time a new one would come out I would usually buy it. However, I am more cautions about the books I buy now because the last few that I purchased were terrible. Either they were over priced for what you got or they were some artists show-off book( the kind where they show off all of their work but never explain how to make anything). I have been working with polymer clay for over 15 years now so when I buy a book I want a book that shows me something that I don't already know or have seen. So when I saw this book I wasn't sure if I should buy it because of the price, but I decided to take look at the reviews and see what they said. They were all good I decided to buy it and I am glad I did. This book is full of lots of beautiful pictures and detailed instructions. Even though it is a small book it is full of lots of good information. I would have to consider it one of the best books I own. I high recommend this book to anyone who is just starting in polymer clay or anyone who has been doing it for a while. I must recommend this new book,it gave me all the basic knowledge I needed to make really beautiful projects! The ideas are really creative and fun and most of all,the instuctions are very easy to follow (even with the more advanced projects)....Lots of really interesting and useful techniques...Great pictures. I own a few books on polymer clay but this one is by far, the best! Ok, when I first opened the package I thought the book was a bit small for the price I paid. However, it is a giant of information condensed into easy and clear steps. This is a how-to that is easy to follow for clay enthusiasts of all levels. I highly reccomend. Very well written and illustrated. Easy to follow instructions. I've been wondering for some time how to make several of the canes included in the book, so am thrilled to finally know. I am very glad I purchased. Simple, concise and contains many of the popular forms of polymer canes. It seems a bit on the expensive side for how big it is but many artists charge $15-20 for 1 cane tutorial and this one has tons! I would recommend this book to anyone that is working with polymer clay or want to learn more about polymer clay. As a polymer clay artist and teacher I purchase many books for my students and myself. I was delighted to find in this book a wonderful creative and instructive source for my beginner students as well as for the advanced ones and myself! 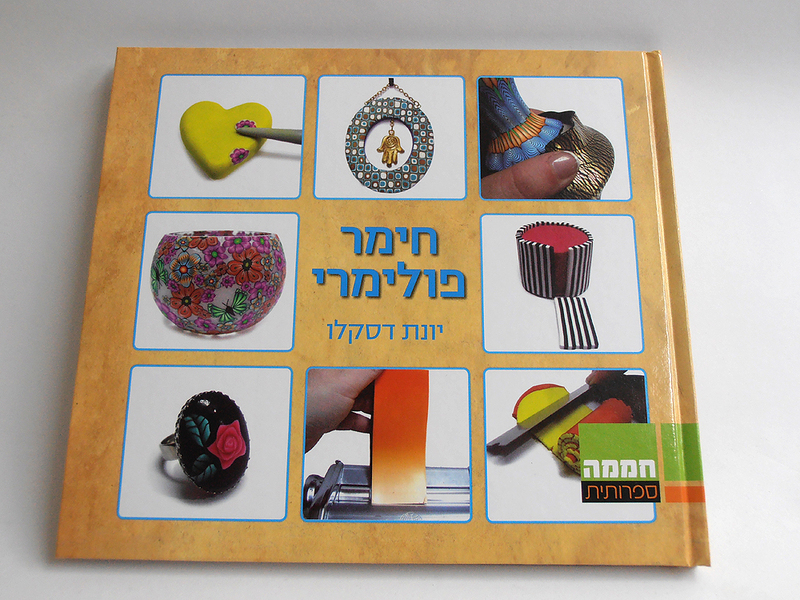 The book gradually builds knowledge in polymer clay through clear photo demonstrations, simple instructions and very helpful tips. It includes the most basic and classic techniques, as well as advanced and original ideas and projects. After working with polymer clay for over a decade now I find this book refreshing, inspiring and useful! A surprising merit of this book is its size. Although it contains a broad range of instruction and ideas it is very compact, making it practical and easy to carry with you and place on your work table! I have never seen such a GREAT book until I saw this one. Every instruction is clear and precise and when you done looking at the entire project, YOU HAVE NO QUESTIONS! All your quesitons have been addressed. Every other book I have ever purchased gives sketchy instructions and leaves out many steps, I suppose, in the interest of space available for each project. But this book tells you EVERYTHING you need to know. What a GREAT book - beginners should have this on their work table. I never write reviews but had to this time. I own more polymer clay books than I care to admit. After 15+ years of clay, I decided to learn how to make canes. I looked through my books and bought others. I found that I had to refer to different books for different aspects. I was about to make a master list for the various techniques and which book to look at for each when I discovered this book. Wish I had found it sooner. 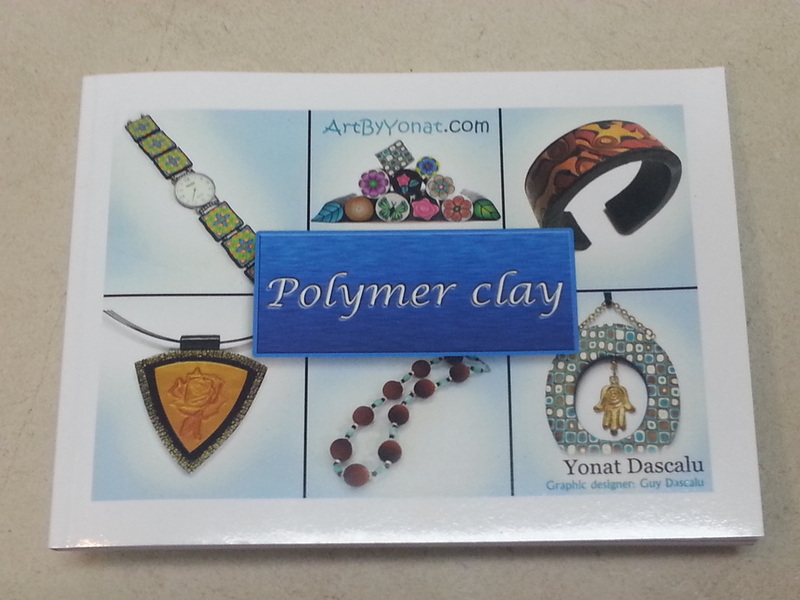 Yonat goes through each technique, from simple to complex. Many techniques build on earlier ones and Yonat includes the page numbers to refer back. Each technique goes through the steps with a photo to illustrate with accompanying text. Some may only need 6 photos and other techniques may need 23. It's impossible to go wrong! You will be caning in no time and will be making beautiful complex canes before you know it!!! I own quite a few polymer books and when this one arrived,I checked the price, saw how small it was and almost dropped it in the return box. However,after looking it over,I was really impressed with the details. The author also explains several techniques which I hadn't seen in other books and I have read many of them. I had quite a few, "oh, now I get it" moments while going through the techniques. I had one book which showed a wonderful sliced cane bracelet, but there was no explanation on the most efficient method of constructing the canes. This book contains a method that is fast, beautiful and very unique. That tip alone is worth the price of the book. She does cover a lot of flower designs which do not interest me, but towards the end of the book she shows how those amazingly complex canes are constructed. Well done and well worth the price. I bought over a dozen Polymer Clay books and finally found a perfect Beginner to more advanced guide! Step by step guide with plenty of pictures help you to learn the craft. I wish I found this ten books ago! Everything I have been watching in online video tutorials is provided in this book. It will be a great reference resource for me as I continue learning how to work with polymer clay. Definitely worth having particularly if you're just starting out and would like a solid reference with supporting photography. The Skinner method makes complete sense because of the photographs used for illustration and the straightforward explanation. I now have several books on creating with polymer clay and so far have found this one to cover so many creative ideas so clearly that it leaves your creative juices jumping. Many books cover basics and then show a few items the writer has created for you to try copying. All well and good. But this book covers the how to in a way that inspires you to imagine new ways to go with what you have learned. Great! I am new to polymer clay art. This is the best and clearest book I've seen to move from very simple to very complex designs. Highly recommended, especially for beginners! This book is amazing and I totally recommend it to anybody learning about clay. This is for those who are serious about making some nice things. This is the best polymer clay book that I have found yet. I have bought many craft books for my kindle fire and don't mind working from it. My 8.9 screen has very good resolution. This book has very clear pics and shows how to make canes better than any other book that I have found. Very simple and easy to follow instructions with beautiful results. I had no idea of all the beautiful things you could make with polymer clay.